Another week means another episode of Podcraft! This is the show about everything podcasting, from equipment to interview skills and everything in between. This week for you we have a few different things. We’ve got a quick question via voice that Joe Kearny sent us in via SpeakPipe. We’ve also got a voice message from Freek Zilvold from The Engineer Podcast, which is an interesting one! We’ll play that later one too, and then we’ll finish up with a question from Matt. We love getting these voice questions, so send them in if you can. Go across to our contact form, and you’ll find a SpeakPipe link on it, which basically is just a way to send in a voice message. You can also send us in regular questions, again through our contact form, our Twitter, email to [email protected], or by leaving a comment on any relevant blog post on the site! “Hi, my name’s Joe. I’m about to create a website for my podcast. I have an option with my current hosting company to have the new site as an add-on to my current site, for all intents and purposes, the new site will appear as a separate site, except it won’t have an SSL certificate. 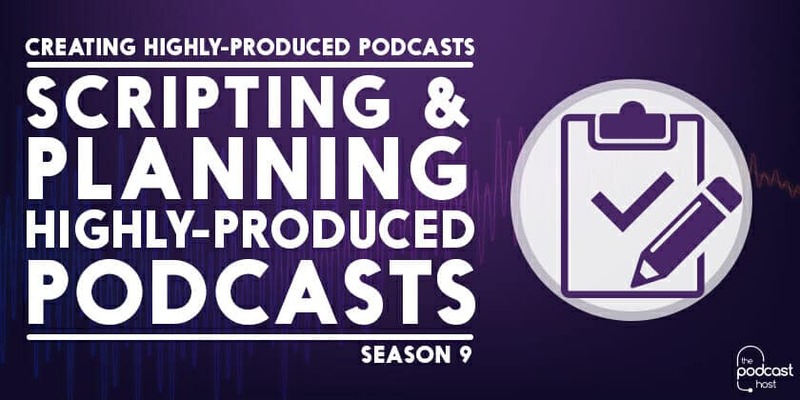 We get a lot of people coming onto our site and creating their website through the Peerless Podcasting Websites course we run. If you haven’t come across that, it’s our course where we show you how to set up a website for podcasting. Whether it’s a brand new one, setting up a new WordPress instal, or whether it’s converting an existing WordPress website into a podcast ready one. This is a question that does come up every now and again, and it’s whether you need an SSL certificate, basically. First of all Joe, you’ve got a good approach. If you’ve got web hosting, often you can have more than one website on that web hosting, so if you run a business website or a company website, quite often you can just buy an extra domain name and have a personal podcasting website or a personal blog or whatever as an add-on. This works absolutely fine and you’re quite right to go that way. You don’t generally need an SSL certificate for a podcast website, the only reason you need an SSL certificate is if you’re actually doing transactions, like money transactions on the site. It could be a problem in the future if you suddenly decide you want to start selling merchandise like t-shirts or mugs or whatever for the show, or you want to start taking sponsorship through the site, or donations, and using something like Stripe, which needs an SSL certificate. But to be honest, you can add them really easily. As long as you know you can add an SSL cert to it, then you’re all good. Just check with your hosting that you can do that, and even if you can’t, actually you can break out a WordPress site, back it up and put it somewhere else pretty quickly and easily. If it saves you bother and a bit of money right now, then it’s not a big thing to move away if you need to in the future, but to be honest, most podcast websites don’t need an SSL at any point. Even if you do start taking money, you’re more likely than not taking the money elsewhere, for example by working with Patreon. You can set it up on a WordPress, and it is good for setting up an e-commerce site, but there’s no need to. “Hello there. This is Freek Zilvold from The Engineer Podcast. I started this podcast in January of this year, and my ideal listeners are engineers or people who want to start in engineering and they’re looking for inspiration or motivation within their career. How many listeners? Well, I started in January, on average I get about ten to twenty listens per show. I’m on SoundCloud right now, and my best way to reach new listeners is through social media; Facebook, Twitter, my mailing lists. Again, thank you very much to Freek for sending in that little bit of feedback, letting us know how he’s getting on. That was send in as a response to our request last week, as well as the one that we put out via our email list – just hoping to get some short clips sent in. We’re asking for anything from one to two minutes, just of you talking about your podcast – what works for you, what doesn’t. Everything that you’re doing around monetization, promotion, listener numbers, to give us some metrics. It’s great and people love to be able to hear it and compare themselves to others. If you want to share some of your experiences, like Freek, we can mention your podcast which will maybe get you a few more listeners too. You can send it over to [email protected], or you can do it via our SpeakPipe page, which is over at our contact page, and of course, you can send us questions that way as well. “One question that I’ve had brewing in my mind, what is the conversation like when you do an interview call? Is it straight through, just like what is published, or is it often choppy with you having to start over, or asking a question to rephrase something? That’s a great question Matt. How do you run an interview? How do you go about it? A simple answer is that you really do get better with practice through interviewing, which inevitably is true. There’s also a bit more in depth that we could go into – things like being quite diligent and questioning ‘does my guest know what to expect here?’, as well as making sure you’re in a silent area and using a decent microphone. The prep stuff. Spending a bit of time doing some prep could go a long way towards it being a smooth experience when you actually sit down and do the conversation. Within The Podcast Host Academy, we have a PDF checklist that you can send to potential guests, or to guest that are coming on your show. It coaches them on the sort of basics of sitting down to record an interview. When it comes to editing, on the one hand it can be quite handy during an interview that isn’t live if there is a point you would like an edit, and don’t be afraid to say so. There’s two schools of thought here. One is that doing that can be great if you really need to do it, but you may often find that it can become a bit of a crutch. If you continually stop and start, stop and start, stop and start, when you actually sit down and edit it, it might not flow very well. Whereas if you pretend that your recording is going out as live, the conversation will seem to flow a bit better – while occasionally giving yourself allowance to make an edit if it really needed it. Another important factor is to take ownership over the interview. It’s about not being afraid to tell the interviewee that you want to go back and rephrase a question, and to be honest you can do that without having to require an edit. A lot of it is about summarising stuff. Your interviewee may say something and take two or three minutes to explain it. So, by picking out a couple of points they make and asking them to summarise it or rephrase it, you get down to the important stuff. It doesn’t necessarily mean you need to edit it, but you can do. It just means you’re bringing out the really valuable points. You’re rephrasing it, you’re summarising it, you’re highlighting it. Another great point that ties into summarising your guest’s responses is to actually listen to what they have to say. By listening to their answers and not just sticking completely to your set list of questions and moving onto your next point, you might be missing some great points that could have been expanded upon by your guest. Listening to your guest is how you’re going to get the conversation flowing. Interviewing is a real skill and people often underestimate how hard it is. They underestimate the difference between a really experienced interviewer and a novice one in terms of how good the show will be. There’s interview shows out there that do really well and other ones that just don’t at all, and the difference is how good they are at drawing out good, valuable stories and stuff like that. Like most things, you get better at that on-the-fly editing as you go, but even if you’re really good there’s a point of difference in the fact that you edit interviews. If you decide you’re going to do a one hour interview, and rather than release that hour you’re going to edit it down to twenty minutes, there are ways to go about that. You can listen through yourself and just mark down or highlight the bits that you really enjoyed and just cut out everything else. We’re not talking about editing sentence by sentence, but maybe question by question, or a few paragraphs of an answer and cutting out the rest. Essentially, just picking out the highlights. There’s some interview shows that do that, and they’re better for it. They cut out the fluff and just take the highlights. Obviously you’re committing more time to it, but there’s a definitely point of difference there because most people don’t do that, and a lot of interviews are quite waffley with ups and downs. If it’s a long interview, you can take listen and think if any questions overlapped in terms of their answers, or whether any answers didn’t provide much value in the end. Don’t be afraid to just be brutal and say, “This isn’t adding anything.” Just get it out. Some would much rather a really, really valuable fifteen minute conversation with loads of good stuff for your listener than having to trawl through an hour long show with just a lot of fluff in it. Another way to take real control over the conversation is by asking your guest a question and getting their answer. Then you have a quick two minute chat with the quest about it – “Well, I like this part of that, I liked that part of that, let’s ask the question again”, and you make some kind of audio signal in your recording. This can be a click or a clap, anything that makes it really obvious when it comes to editing it down. It doesn’t take much to edit it because you’re deliberately rehearsing questions and redoing them, but you’re going to see the clips/claps really obviously in the post production which speeds up the process. You’re going to go through and all you’re doing is looking for those signals, and you say, “Right, that’s the final take, that’s the one we’re going to use.” You’re really quickly going through and cutting it all out, you’re not having to even review by listening through the whole thing again. So, there’s ways like that to do an edited interview, but in a really time efficient manner. It takes a bit of confidence there and a bit of prep with the interviewee as well, you have to make it clear that that’s the way you’re going to go about it, but it’s another approach. Again, interviewing is just one of those things that comes with practice practice practice. You do it a lot and it becomes easier, you learn the best ways of coaching people and setting things up. You start to know what to look for, especially the technical aspects like is this recording, and it becomes like driving a car. Before you know it, a lot of it’s just second nature, a lot of it’s in your subconscious and you can really focus on the important part, which is the conversation and your guest. If you want some more information and tips on how to get the most out of your interviews, then we do have a course on interview skills at The Podcast Host Academy. This is our premium content, with our how-to courses from launch stuff to interview skills. Also we’ve got our live coaching, an hour every two weeks where you can come in and talk to us live as well. If you’re in the academy, you also get access to that interview checklist that we mentioned earlier, that you can send out to your interviewees to get them prepared. And that’s us, another episode of Podcraft completed. We hope you enjoyed the show, and we hope you tune in again next week!